While those not in the know might still see Mandopop as a less well-produced version of K-pop, a light scratch beneath the surface reveals more depth and value in the scene than outsiders could possibly imagine. Starting from the top, Mandopop is essentially; as the name infers; Mandarin language popular music. This brand of pop music has long been characterised by sad ballads that are full of subtle, lyrical meaning, with Taiwan contributing greatly to this idea (and to the scene) ever since the 1970s. Triggered by the popularity of the Campus folk songs movement and the phenomenal influence of Taiwanese singer Teresa Teng over the region, the scene was highly popular due to this as well as the subsequent idol drama craze at the end of the millenium. After which, the internationally recognised success of K-pop led to a decline in Mandopop’s popularity; branding it often as a less highly produced duplicate of K-pop, or merely as a scene that was only good for sad love ballads. And in recent years; with the influx of Mainland Chinese singing reality shows, perceptions of Mandopop continue to change, causing a revival of interest in the scene, while also posting a threat to Taiwan’s reputation as the heart of Mandopop. Whilst Mainland big budgets seem tempting and a solution to all problems, a quick look from a creative industries/urban spaces perspective quickly re-cements Taiwan’s place as the cultural centre of Mandopop. The scene is a mecca of ideas, skills and creativity; a unique combination that others find difficult to replicate. The proof for this lies in many areas that have been listed time and again, including their production quality, and handling of music business affairs (artist management, distribution, promotion…). But yet there is one advantage that is often overlooked – Taiwan’s talent. By ‘Taiwan’s talent’, we are not referring only to local talent-but to all who come to Taiwan to expand their careers in the Mandopop industry. Despite the Mainland becoming an increasingly lucrative option, Taiwan has nevertheless been a key player in helping a diverse selection of Asian artists (not limited to local Taiwanese) find success locally and overseas. These artists in return have been critical in the transition phase for Taiwanese Mandopop’s brand image; while during the idol drama craze of the 1990s to early 2000s Taiwan’s flourishing indie scene took a backseat, the time is now for Mandopop’s unconventional side to make an appearance. Over the last 50 years, Taiwan’s unique history and cultural influences have placed the roots of their modern pop scene firmly in the soils of political dissent and a yearning for free expression. Originating from the campus folk songs movement in the 1970s which coincided with a 37 year-long period of martial law, Taiwanese society has since made a name for themselves through their culture of open freedom of speech and expression, a notion which has made its way into the bloodstream of its contemporary music industry. Several indie artists such as Sandee Chan, Sodagreen, Waa Wei and Cheer Chen paved the path bridging the gap between indie and mainstream genres in the late 1990s-early 2000s; somewhat diverging the mainstream audiences’ tastes towards a preference for authenticity and creativity. Coming back to the present-day scene, the trend of blurred lines between independent and mainstream genres has become even more prominent. For now what is considered ‘popular music’ is not necessarily conventional and balladic, but oftentimes thoughtful, creative and authentic, not to mention culturally diverse. Differentiating between ‘independent’ and ‘mainstream’ no longer refers just to the genres of music used, but to the content of the music, and the channels artists use to attain prominent levels of success. While progress in this respect is far from meteoric, it is nevertheless steady and significant. To prove this, here are four examples of artists whose works embody elements of independent music culture. An indie band that dabbles primarily in the post-rock, indie and metal music genres; No Party For Cao Dong’s outspoken views on societal issues shook up the music industry when they debuted in 2016 with their seminal work ‘The Servile’. 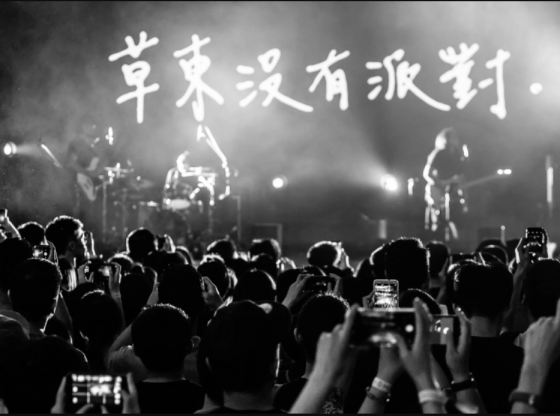 By speaking up in unconventional ways through their music on issues such as self-image (醜), the injustices of society in dealing out opportunity (爛泥), and Taiwanese independence, the band has quickly become a cult favourite. Often starting off their songs with an almost monotone melody against darkly playful riffs, their songs quickly escalate into roars; in some ways mimicking the repressed nature of Taiwanese society and citizens’ dissatisfaction. The band’s unique articulation of unconventional yet strikingly meaningful themes did not go unnoticed, and buoyed their critical acclaim at the 2017 Golden Melody Awards where they won Best Band of the Year, as well as Best Newcomer and Best Single of the Year for their song ‘Simon Says’. Interestingly, their outspokenness seems to not have deterred their success and influence internationally and in the Mainland; their song ‘山海Wayfarer’ went viral after being covered on popular reality show ‘I Am Singer’ by Hua Chenyu, successfully pushing the boundaries of creative expression further than many have ever gone. Released in late 2017, ‘買榜Mybong’, a collaboration between Taiwanese rapper Poetek, Asian-Australian R&B singer Julia Wu and beatmaker RGRY was a sleeper hit that none saw coming. Currently at over 5 million hits on YouTube, the song which was ironically written about buying the charts played around with the conventional hip-hop format; instead of adding melody to rap and adding rap rhythms to melodic hooks. The song’s success was also prominent given the international background of the artists featured; Wu is Asian-Australian and one of the only female singer-songwriters within the Taiwanese hip-hop scene, while RGRY is of Asian-American descent. Poetek is a Taiwanese rapper whose debut album was nominated in multiple categories including Best Newcomer and Best Album of the Year for its discussion of themes such as split personalities and societal criticism. Effectively, the song and collaboration opened the gates for the Taiwanese mainstream hip-hop scene which previously almost exclusively featured local Taiwanese talent. Namewee is a Malaysian-born singer-songwriter/director (based in Taipei) who has become a regional sensation, not only for his outspoken views on Malaysian politics which he addresses in his music, but also for his unorthodox business model. Many of his music videos have numbers in the millions due to his penchant for writing earworm hits and incorporating non-traditional visuals into his music videos. As an independent artist, he relies very much on the internet and new media to gain influence as an established artist (something very rare in Taiwan), and regularly gains critical acclaim through nominations at the Golden Melody Awards due to his truly global outlook. He often writes virally successful songs that pertain not only to Eastern or Southeast Asian culture, but even attempts (and successfully) incorporates interesting perspectives on different regions’ sounds and quirks into his works. One of his most recent collaborations with Japan’s pop culture initiative Cool Japan called ‘Makudonarudo’ went viral due to his cheeky and humorous plays on Japanese translations of English brand names; reflecting his wit and proficiency not only as a musician, but also a marketing maven. His most popular single ‘Stranger in the North‘ has over 100 million hits to date, and since then, he has continued on his upwards ascent. 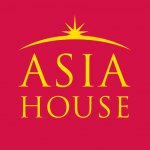 His skyrocketing popularity in Southeast Asia has also arguably been a driving force for wider audiences to recalibrate their views of the Mandopop industry. A-mei (張惠妹), a veteran mainstream pop artist with over two decades of experience in Mandopop is one of the biggest forces pushing for positive change within the pop music industry. With regional and international recognition well and truly within her grip, the fearless creative has used her influence and her music to provide opportunities for other independent artists and producers to gain influence; while simultaneously pushing forth unconventional yet positive ideas that challenge societal assumptions. Debuting in 1996, Zhang is widely seen as the Queen of Mandopop (comparable to Beyonce) with many popular classics under her belt. But in recent years she has started to release more avant-garde works; especially so under her alter-ego Amit (name taken from her original Taiwanese Aboriginal name) where she works with anyone from internet composers (愛力獅, now singer Queena Yan) to famous pop stars (JJ Lin, Jay Chou) to create unconventional musical experiences. She is one of the most outspoken advocates for LGBTIQ rights in Taiwan and has previously hinted at her support for Taiwan’s autonomy while continuing to maintain a strong following on the Mainland. Through her positive representations of body image and messages of equality and generosity, there is no better person to call the mother of Mandopop. In conclusion, Taiwan is still the creative heart of Mandopop, in a way that is irreplaceable and unique in its own right. The scene is changing fast, so it really depends which end of it you’re caught up with; the end that’s slowly dying out or the newer end which features new-gen artists with a whole lot of potential. Which will you pick?